Interview: Financiers are cautious. They would rather not finance a project than risk their investment in betting on the weather. As a result, many promising projects are not realized. Gwendalyn Bender, Vaisalas Product Manager for Solar Assessment Services explains how to reduce uncertainty and improve financing probabilities and conditions. pv magazine: You think that planners are too conservative when forecasting the yield of solar plants. Why? Gwendalyn Bender: I think that in part the conservatism comes from large scale solar plants starting to be built at the same time underperformance in the wind industry was becoming apparent. That combined with solar being a “new” technology led to a conservative approach by financiers in regards to project uncertainty. For many years the conservatism from financiers has been balanced by government-backed incentives, but as those incentives start to wane we need to strive for fair and accurate yield forecasts. pv magazine: So developers underestimate the irradiance to be certain about the outcome of their plant? Bender: It’s not an assumption of lower irradiance than is possible, although that is sometimes true, it is more the case that people financing projects are asking for a level of certainty that means some pretty good projects may not get financed and good projects may not get the financing rates they deserve. As more solar projects show long-term success in operations, hopefully this leads to a greater confidence in the financing community and the industry’s ability to accurately forecast long-term production. 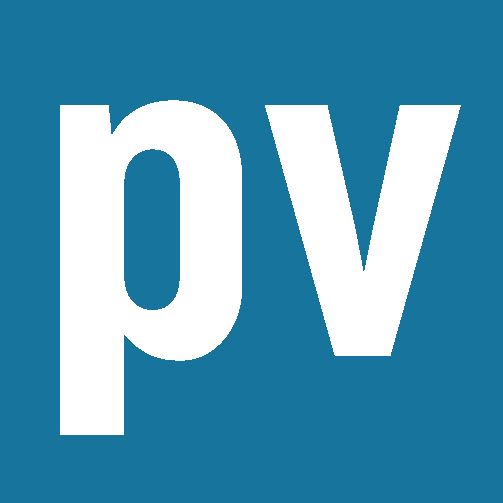 pv magazine: How much does the forecast accuracy influence the costs for financing? Bender: The amount of uncertainty assigned to an energy production forecast is what determines the probability of exceedance values which is what financiers look at when evaluating projects. The P50 represents average expected conditions of a plant and the P90 represents the number the plant production should exceed 90% of the time. The spread between those two numbers is based on the uncertainty of the production estimate. Financiers typically finance the plant based on a value between the P75 and P95 annual production values depending on location and other incentives in place. There’s not much a developer can do to control the variability in production as that is determined by the weather at that location, but one can influence the uncertainty value associated with the plant. The most impactful choices a developer can make is on the resource assessment. For example, a public long-term data source often comes with a 10% or higher uncertainty estimate whereas a high quality data provider like Vaisala has an uncertainty of 5% or less. That can be further reduced by doing a process like Vaisala’a MOS (model output statistical) corrections that integrate onsite observations which can reduce the resource model uncertainty to 2.5% or less. Choosing first tier equipment and having a well planned maintenance schedule can also further reduce the energy estimate uncertainty. The lower the uncertainty, the better your P-values, the better your financing terms. Do you have questions to Gwendalyn Bender and other experts on these topics? Vaisala is our initiative partner for this pv magazine webinar. Questions can be submitted beforehand or during the webinar through a chat window. Participants will receive free access to Vaisala’s weather data base for one month. pv magazine: In order to forecast the yield of a solar plant, you rely on weather data from the past. On the one hand, you want to level out annual fluctuations which makes it favorable to use longer term averages, such as 20 or 30 years. On the other hand you don’t want to level out trends in climate change or pollution change or other trends, which means you should use not so long term averages. What is your recommendation and why? Bender: We recommend using long-term data records of 15 years or longer but we generally steer our clients away from only using the long-term averages based on that data record. Instead we use the full long-term records to forecast future energy production in order to capture weather and climate fluctuations that will occur during the 20 year lifecycle of a plant. At Vaisala we use our satellite based dataset with information on an hourly basis with almost 20 years of history and we model the entire record for energy production in order to understand the true variability of a project’s potential production. Our dataset incorporates datasets that include the changes in the atmosphere due to pollution, erosion, agricultural activity, and so on. We are capturing both in time and space how changes are affecting project locations. For example, in Central India we see a large increase in aerosols causing a decrease in irradiance starting in 2008, which is continuing today. Just looking at long-term averages won’t show you that full story. In regards to climate change, it is something we are keeping an eye on as a company. Current state-of-the-art science suggests that most of the effects won’t start to impact weather events until 50 years from now, farther out than the expected production of most solar plants, but we continue to monitor the studies and are prepared to incorporate the data at some point in the future.